Legendary Singer, Late Fela-Anikulapo kuti was well known for criticising the government through his music. Unfortunately for him, the government sees him as an enemy and this usually gets him punished. See the picture of the late Legendary singer in bandage after the cut. The above picture was taken in 1977 during soldiers invasion of Kalakuta Republic on November 23, 1977. 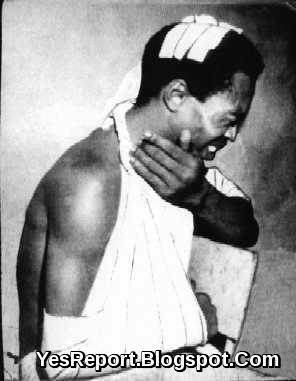 Fela was severely beaten during the attack. He speaks the truth in his Music and most of His tracks are evergreen. #Fela#Legend.